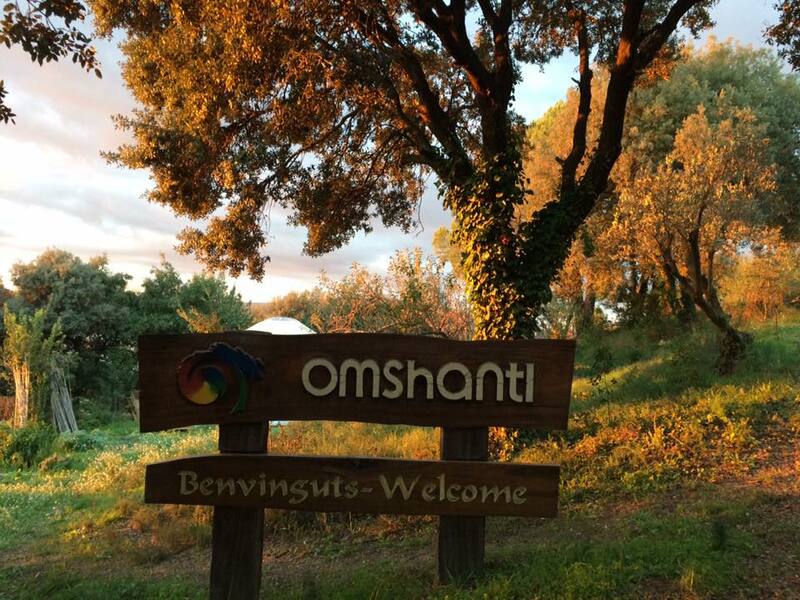 Birthlight On Tour is returning to Omshanti! 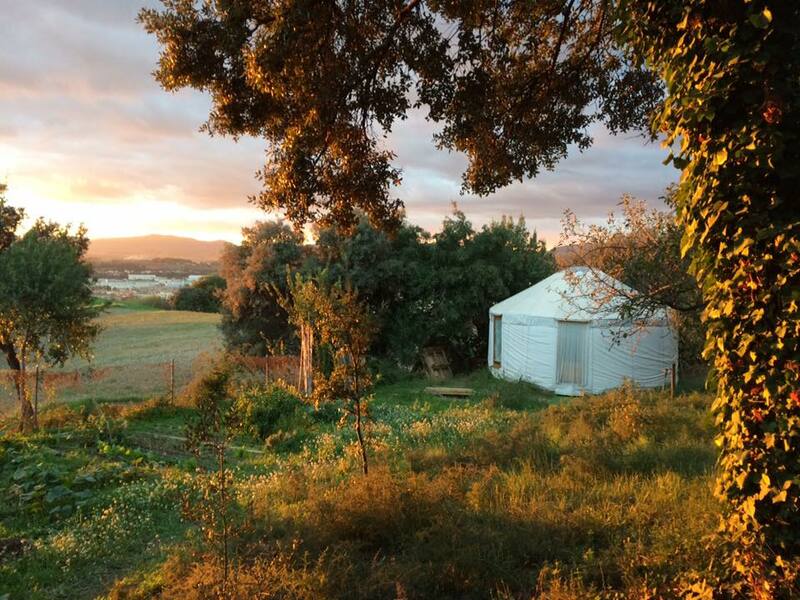 Join us for our 6 day Teacher Training Retreat just outside Barcelona, Spain. This retreat includes training and 30 hour Yoga Alliance certification in Pregnancy Yoga, Birthing Yoga, Postnatal Yoga and Baby Yoga by Sally Lomas. Micha Merrick offers an introduction to Pregnancy Thai Massage and Herbal Thai Massage as well as leading a woman’s circle and daily yoga classes. OmShanti Yoga Studio is the perfect retreat away from the hustle and bustle of the city. Enjoy peaceful accommodations and three delicious vegetarian meals a day. Your experience begins with dinner and opening circle Wednesday, Nov. 1 and continues for the next 5 days filled with specialized yoga classes, world renowned Birthlight training, and the beauty of Thai massage. Book with a friend and you each save €50!!! Spirit Weavers Gathering is a five day celebration for Women, camped together in the forests of Oregon, celebrating cultures past and present, a remembering and practicing of basic human skills to ensure the survival of the body and the soul. Fermenting foods, weaving, dying fabrics, creating ceremony, sharing meals at night and dreams in the morning, the making of plant medicines- singing songs, together as a community- these were the common knowledge ways and part of the simple pleasures of a life lived in balance and harmony with nature. Let us gather together as Women and share our skills in remembrance of the beauty path and an honoring of our Ancestors. Micha share her knowledge of Herbal Compress Massage in a half-day workshop and teach morning yoga! Join Birthlight On Tour in Mallorca for our luxury Motherhood Yoga Teacher Training Retreat. Tap into femininity, learn to support women through pregnancy birth and beyond while taking in the beauty of the UNESCO world heritage Tramuntana Mountains. S’era Vella is a rustic but luxurious villa and an ideal place to complete your 30 hour Yoga Alliance certification in Pregnancy Yoga, Birthing Yoga, Postnatal Yoga and Baby Yoga. Yoga for pregnancy, birth, postnatal and babies will be taught by the inspiring Sally Lomas who shares from 25+ years of prenatal yoga experience and a true depth of wisdom. Micha Merrick offers an introduction to Thai Massage for Pregnancy and Birth as well as special herbal abdominal massage for postnatal healing. Micha also leads specialized daily yoga classes and a powerful woman's circle. This course teaches a philosophy of women's yoga that starts from conception and evolves through the stages of pregnancy, birth and continuing through postpartum. Asana and pranayama evolve and transform as the woman evolves on her journey- including her baby- each step of the way! Your training will take place on the beautiful Spanish island of Mallorca. During your stay, we will offer you everything you need to nourish your body and soul. Each of the 7 rooms in the villa has it’s own style with a unique and cozy touch. Decorated in warm tones with Mediterranean furniture, each room includes a private bathroom with bath or shower. The villa property boasts splendid and extensive gardens along with a refreshing swimming pool. Spend your downtime relaxing on the sunbeds or sitting on the terrace enjoying the views. Three delicious vegetarian meals a day will fuel your body and Kirtan in the evenings will fuel your soul. A day trip into the historic center of Palma will give you a taste of the beauty and spirit of Mallorca. 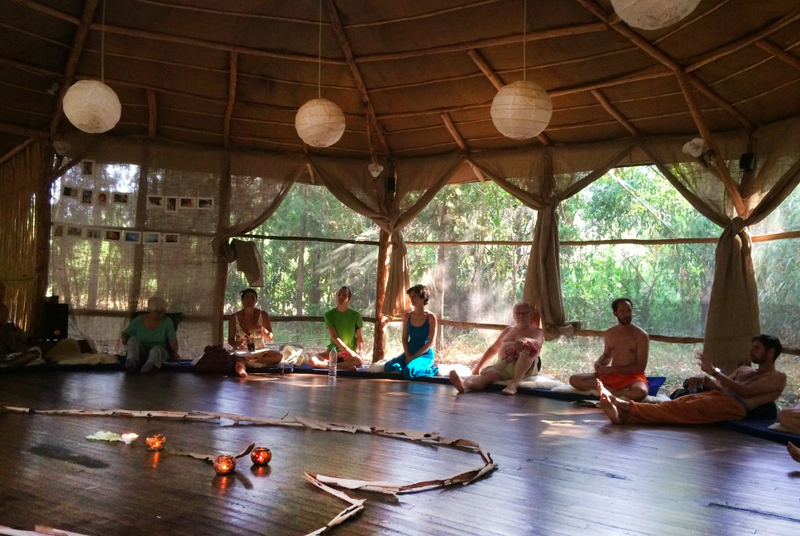 Your experience begins with lunch and an opening circle on Sunday, 20th August and continues for the next 6 days filled with specialized yoga classes, world renowned Birthlight training, and the beauty of Thai massage. Join a circle of open-hearted yogini sisters practicing sacred women's yoga and thai massage. Nourish your body and spirit with four days in nature, organic food, fresh air, creative energy and deep sharing. Explore the meditative balance between connecting deeply with yourself, nurturing others and allowing yourself to be nurtured, all powerful elements of our feminine nature. Lunar Yoga- a fluid dance-like women's practice, in the tantric hatha tradition, Kria, Asana, Mudra, Chanting and Meditation designed to free life force energy and open deeper levels of grace, intuition and self trust. Yin Yoga- to rebalance hormones and deeply replenish your natural stores of energy. We will experience surrendering to mother earth and to root ourselves into the feminine wisdom of releasing and perceiving. Deep listening in stillness opens the gate to the inner voices of the body and soul. Thai Yoga Massage- learn simple thai yoga massage techniques to ease and support women health, hormonal balance, menstruation pain, fertility, pregnancy, and menopausal symptoms. Experience first hand the healing effects of this work as we learn and practice together and feel inspired to share your natural healing touch with others. Sacred self care- Meditations, visualizations, dance, and self care practices for the female body, yoni and womb. Bring awareness to your own inner cycle of change. Understanding and honoring to the different stages of bleeding so we can reconnect with the power of the wild feminine. At the retreat you will have the chance to take Thai Massage Sessions during your free time. It will support you in the process to release tension and unneeded emotions through healing touch. Enjoy the support from a sister giving her energy and attention on your personal well-being and growth for 1,5 hours. Micha Merrick is a second generation Tantric Hatha Yoga Teacher, Birth Doula, and Thai Massage practitioner specializing in women's health care. She has studied traditional women's practice and birth wisdom with midwives and healers in Bali, Thailand and her home country of the United States. Selma Schmid is a dedicated Yin Yoga Teacher and Thai Massage practitioner and teacher. Her inner call to support woman in finding their inner strength and power led her into her own femininity and body. On her journey she invites, supports and celebrates the inner female cycles with woman to create a heart and womb centered sisterhood. 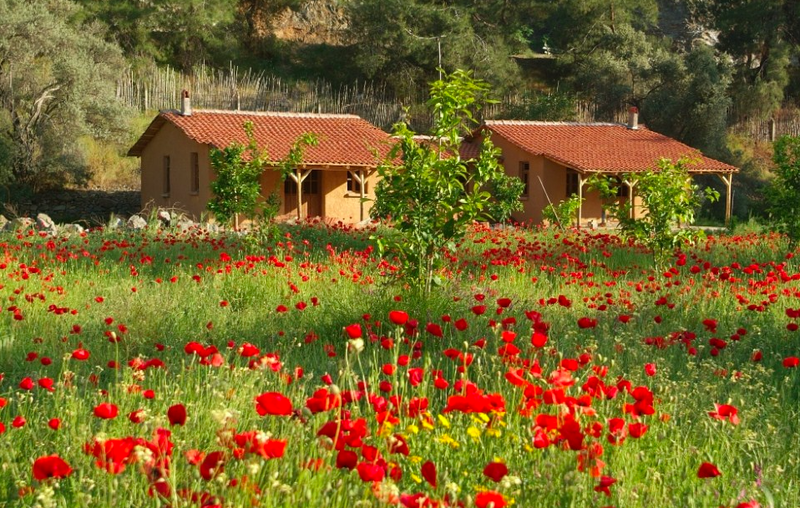 Pastoralvadi is an organic farm and retreat center in a valley of the Taurus Mountains, surrounded by fruit trees, open fields, vegetable gardens, charming natural eco-earth buildings, and the Kargı River, the perfect place to let yourself open and unwind. Come away with a deeper connection to your feminine nature, tools to keep a home practice and inspired to share this sacred wisdom with women you love, mothers, sisters, and friends. Start 9th. August. Arrival at 16.00. Our first gathering will take place at 17:00, we will have dinner at 19.00. End: 13th August after lunch at 13.00. Course will be held in English with Turkish translation. Deposit for registration is 500 TL. The Accommodation will be in 2 or multiple bedded wood, stone or mud-brick houses. You will share your room with another person. If you wish to stay with a friend please let us know in advance so we can arrange it for you. If you prefer to stay alone, please get in contact so we can tell you the extra cost. Tap into femininity, learn to support women through pregnancy birth and beyond with 30 hour Yoga Alliance certification in Pregnancy Yoga, Birthing Yoga, Postnatal Yoga and Baby Yoga. Yoga for pregnancy, birth and postpartum will be taught by the inspiring Sally Lomas who shares from 25+ years of prenatal yoga experience and a true depth of wisdom. Micha Merrick offers an introduction to Thai Massage for Pregnancy and Birth as well as special herbal abdominal massage for postnatal healing!✨🌿 Micha also leads daily yoga classes and a woman's circle. This course teaches a philosophy of women's yoga that starts from conseption, and evolves through the stages of pregnancy, birth, continuing through postpartum. Asana, pranayama evolve and transform as the woman evolves on her journey, including her baby each step of the way! Sunshine House is a traditional, old country home and grounds of 5 generations, situated on the island of Evia, Greece. It is used as a kind of sanctuary, exploring healing techniques of the East and the West, where many may come to learn, share and grow. The aim of Sunshine House is to promote simple living and community gatherings anchored in deep spiritual practice. Enjoy peaceful accommodations and three delicious vegetarian meals a day. Your experience begins with dinner and opening circle Sunday, July 30th and continues for the next 5 days filled with specialized yoga classes, world renowned Birthlight training, and the beauty of Thai massage. Are you feeling called to tap into your own femininity and support the women of your comunity? This experiential workshop will explore the power that we have as women to support our sisters. Women who feel supported in pregnancy and birth often have healthier birth outcomes and feel happier and more empowered in motherhood. Discover how your own personal massage and/or yoga practice makes you naturaly primed to offer this kind of loving support as we explore hands on techniques, movements from Yoga and Thai Massage to support a healthy gentle birth experience. Immerse yourself in a yogic lifestyle as you learn to share traditional Thai Yoga Massage. Morning yoga with Micha will open your intuition, fluidity and grace. Daily practice offers and experiential understanding of the subtle life force, while strengthening your body, mind and heart to share this beautiful healing art.